Before you can create and publish video content on your website, you need to plan it all out. One important aspect of that involves writing a script – and you shouldn’t underestimate its importance. A good script can help to you to structure your video content, fine tune the ideas that are incorporated in it, and also improve how it puts those ideas across. Think of every video script as a story, with an introduction at the beginning, the main content in the middle, and a call to action or conclusion at the end. Plan out the points that you intend to include in your script accordingly, and figure out where they’ll fit in. Part of the advantage of video content is that you get to show and not just tell. It is important that you incorporate that in your script, and detail any visual elements that you intend to use. If there is a lot of emphasis on the visual elements you may even want to storyboard the script. As you develop your script, try to include a rough timeline. It doesn’t have to be very specific, but should help to give you an approximate idea of the total duration of your video as well as how much time is spent on specific areas. Don’t be too worried about getting your script right on the first draft. Instead, liberally draft out your script in the knowledge that you will want to edit it ruthlessly later on anyway – as that is where you can fine-tune it. Keep in mind that when you do actually create a video to publish as website content, converting into the right format can help to ensure it displays properly. In that regard Movavi Video Converter can be an important asset, as it will let you easily convert videos between any formats that you require. Additionally Movavi Video Converter has several other useful features and you can create animated GIFs, grab screenshots, edit video footage, extract audio tracks, and much more. If you wish you can use it to convert audio files or images, such as TIFF to JPG – which is more web-friendly. 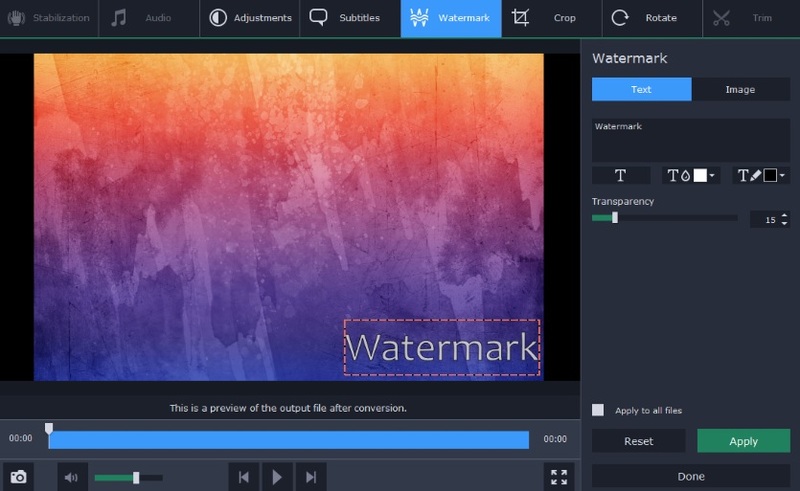 At the end of the day being able to optimize the videos format and settings with Movavi Video Converter can help ensure it turns out as intended. Odds are you’ll find numerous other uses for the tools it provides, and it can even help you to storyboard or improve your videos.